And you’re to be forgiven. There are two versions of the FY 2013 budget out there right now (House and Senate), for a year that’s half over. There are the budget cuts from the sequester that everyone’s still waiting to feel the full impact of. Rep. Paul Ryan, chair of the Budget Committee, put out his FY 2014 blueprint Tuesday. 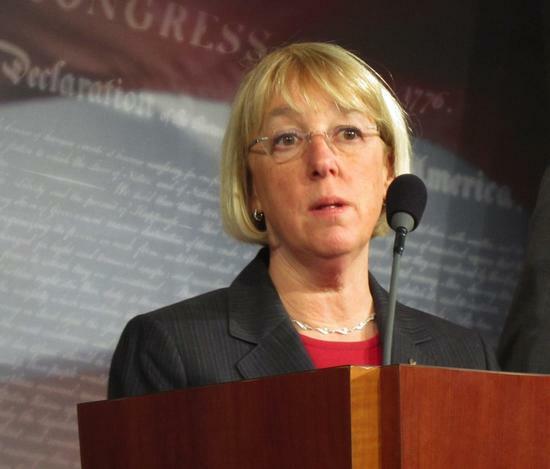 And Wednesday, Senate Budget Committee Chair Patty Murray (D-WA) rolled out her budget proposal. Considering how dysfunctional every single one of these budget processes is, it’s no wonder we plug our ears at more budget news. But there is a silver lining: Murray’s budget, which her committee approved yesterday, contains a $100 billion “targeted jobs and infrastructure package” that would focus on transportation. Murray’s proposal also creates an infrastructure bank to leverage private sector investment, seeded at $10 billion, as Sens. Frank Lautenberg and Jay Rockefeller recently proposed, and as former Sens. John Kerry and Kay Bailey Hutchison had also proposed. There’s also $10 billion in the budget to repair dams and dredge ports, $20 billion for technology infrastructure, and $10 billion for worker training. It’s a little more ambitious than the “fix-it-first” policy President Obama laid out in the State of the Union last month, which included $40 billion for transportation maintenance. He didn’t mention an infrastructure bank that time, but he’s called for one many times before, only to be met with stonewalling from Republicans. A lot has to happen before a package like this comes into reality. Though this spending, if it’s to come out of general revenues, isn’t necessarily dependent on finding a solution to the Highway Trust Fund’s insolvency, any new spending is dependent on Washington getting to a better and more sustainable place. Somehow this budget would need to be reconciled with Ryan’s budget, another grenade of a conservative policy document that doesn’t include anything like the spending Murray proposes. Then the appropriations committees would need to agree to actually make the money available. Without a proposed revenue source, Murray’s budget isn’t a game-changer. It’s mostly just a re-stating of well-known Democratic objectives, with some wishful-thinking numbers attached. But it’s nice to see that the Democrats are still keeping transportation improvements on the agenda, and still with a maintenance-before-expansion ethic. Isn’t that great. Spending a 100 billion completely on infrastructure is wishful thinking. But the F-35 can just keep pilling up the hundreds of billions of wasted money.